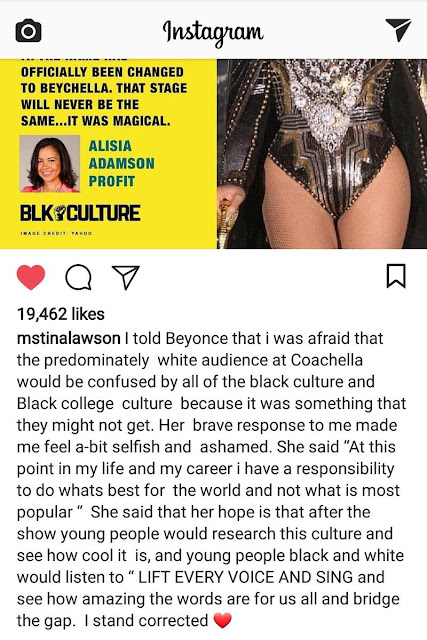 Beyoncé's mother, Tina Knowles-Lawson had some concerns over her epic Coachella set. She was afraid Coachella's audience would not understand her cultural performance. My first thought was that the performance was unapologetically very black. But that's not the reason why her performance was so good. 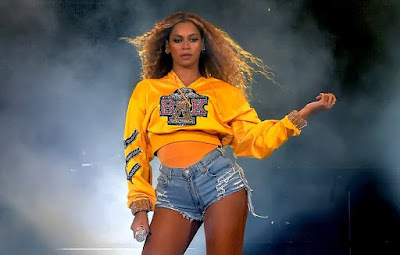 Bey is a talented performer even without the inspiring and influential messages. Beyoncé's response to mama Tina's concerns is below.